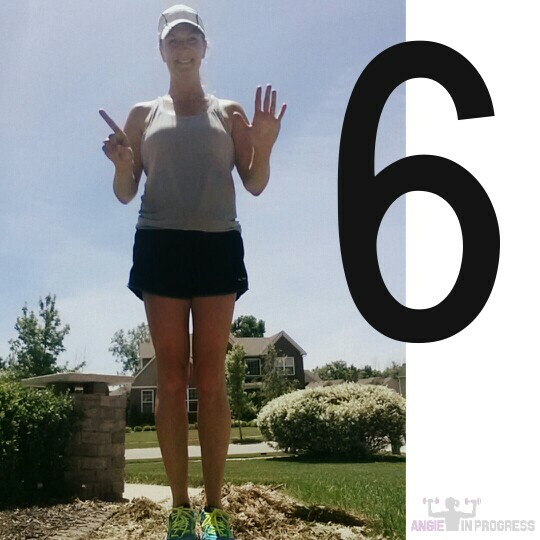 So I said that I was going to attempt weekly marathon training updates, so update I shall! Week 1 is in the books! This is my fifth time training for a marathon, but I’m still just as nervous about it as I was the first time! It’s been four years, but I never swore it off forever – like so many do after their first one. I actually knew I’d do it again, I just wasn’t sure when. When is now! I don’t have any nagging injuries (knock on wood) and except for the asthma, I don’t have anything that will prevent me from at least making it to the starting line (knock on wood)! I’m following my tried and true Hal Higdon Novice Marathon Plan. Why, you ask, am I using the Novice plan for my FIFTH marathon? Well…all I’m really concerned with is getting up to the mileage I’ll need to run the marathon. That means a slow and steady progression, with a few taper weeks, up to the LONG run, which is 20 miles. That happens a couple of weeks before the big day, and then I’ll taper again until the race. I don’t actually do scheduled “tempo runs” and “intervals”, etc. My method is very unscientific. If I feel good, I run fast. If not, I don’t. If I get an itch, I’ll pick up and sprint for a spell, if not, I don’t. That’s it. I’m not trying to win…just survive. Ultimately, I don’t care so much about my finish time, I just want to arrive in Chicago healthy, strong and capable of finishing. If I have a good day…GREAT! I’m also trying to run this time a little more au natural. I will, however, be wearing clothes. I just mean I’m trying to avoid the fuel of the past. I used to rely on Gatorade and GU shots for hydration and food for long runs, but these days I’m just not that into food coloring and massive amounts of corn syrup. I’m trying out some cleaner, more natural alternatives…so we’ll see how that pans out. So far I’ve discovered that I’m not a BIG fan of the way plain coconut water tastes. I could choke it down, but I might need to doctor it up a bit! I’m looking for ideas on the interwebs! So this week’s schedule consisted of 3, 3 mile runs (I did 2 of them, and walked on another day). And my long run today was a 6 miler. It’s easy now, the weather is nice and the miles are short…but boy when it gets hotter and the miles get longer…it’s going to be rough! On a Scale of 10: 8 – Legs felt good, it was a success. Previous PostPrevious SO SUPER EXCITED! Next PostNext FREE 7-Day Slim Down!